The Par 3 Contest at Augusta National topped the cable sports nets for Wednesday with 1.085 million viewers and a 0.3 adults 18-49 rating. 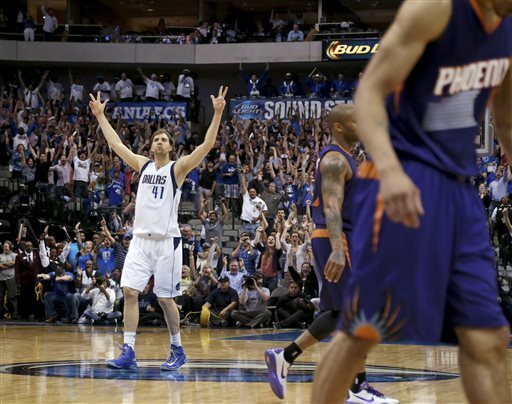 NBA on ESPN: Phoenix Suns vs the Dallas Mavericks averaging 1.05 million viewers and a 0.5 adults 18-49 rating. The earlier Boston Celtics vs Detroit Pistons game averaged 740,000 viewers and a 0.3 adults 18-49 rating. CONCACAF action on Univision Deportes averaged 762,000 and a 0.4 adults 18-49 rating from 9:55p-12:00a. The Boston Red Sox vs Philadelphia Phillies MLB game on ESPN2 averaged 619,000 viewers and a 0.2 adults 18-49 rating. The San Diego Padres vs Los Angeles Dodgers game (also on ESPN2) that saw Adrian Gonzales hit 3 homeruns averaged 543,000 viewers and a 0.2 adults 18-49 rating. In NHL action on NBCSN, the Boston Bruins vs the Washington Capitals averaged 488,000 viewers and a 0.2 adults 18-49 rating.